King Cage doesn't only traffic in precious metals. They also make a sturdy stainless steel water bottle cage. This cage is simple, durable, and won't give anyone sticker-shock. 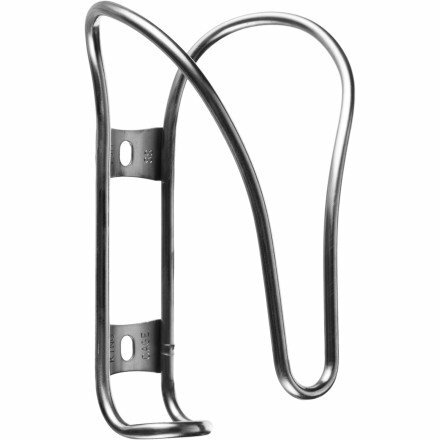 Unlike carbon or plastic cages, this one can be bent (aka cold-set) to be firm or loose. The King Cage Stainless Steel Iris Cage is welded from 304 Stainless Steel Tubing. Made in Durango, CO USA. 48g. If you have any questions about this product by King Cage, contact us by completing and submitting the form below. If you are looking for a specif part number, please include it with your message.